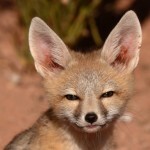 “Do you carry Savage Rascal .22 long rifle firearms?”, I asked the salesman on the phone. “We do and we have various colors.” Before I knew it, I was at standing in my local gun shop, Mid Star Firearms, looking at the different color options for my new rifle. 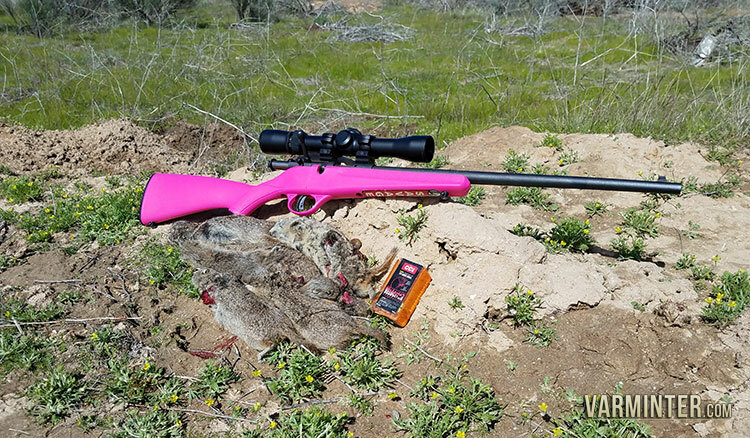 I was determined to purchase a Savage Rascal 22 long rifle and put it through a full review and hunt in order to determine if these small rifles are viable for real small game and varmint hunting situations. The only issue I was having, was which color it was going to be. Even though I got a couple of odd looks when I said it was for me, I chose the color that I felt would work well with my testing! After cleaning the Rascal, I took it to the range for initial function testing and a quick sight-in. I decided to keep the factor peep-sight on the rifle and proceeded to shoot for groups at 30 yards. I had some issues with shouldering the extra small rifle, but that was to be expected with a rifle geared towards young kids. 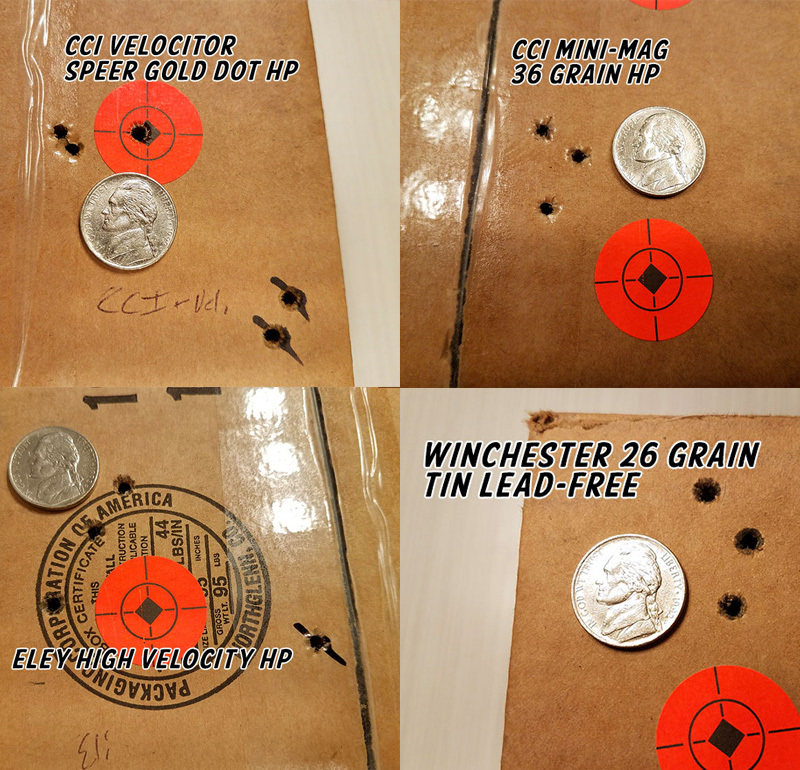 Due to the inability to shoulder the rifle properly and get any type of cheek weld, It was very difficult for me to get the 1″ target dots centered in the peep. I found a way to shoot it that gave me good consistency, so I proceeded to shoot a handful of groups using four different brands/types of ammunition. My groups were not spectacular and ended up being around 1″ at 30 yards. I knew it was time to scope this rifle and give it a real chance at shooting for accuracy. 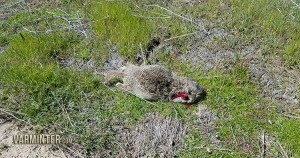 Before I left the range area, I found a spot that had a few ground squirrels running around. 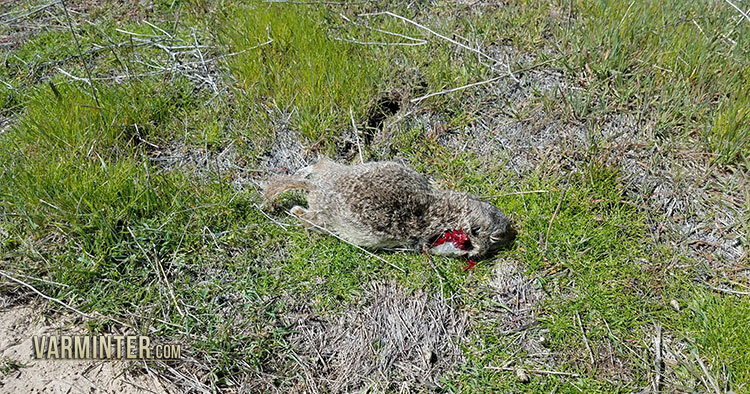 Even with the peep-sight, I was able to kill a few of the little ground squirrels we have here in SW Idaho. This was good news, because the rifle was already answering my question about viability as a hunting rifle. I picked-up a Rascal scope base set and mounted a Weaver 2.5-7 x 32mm rifle scope on it. 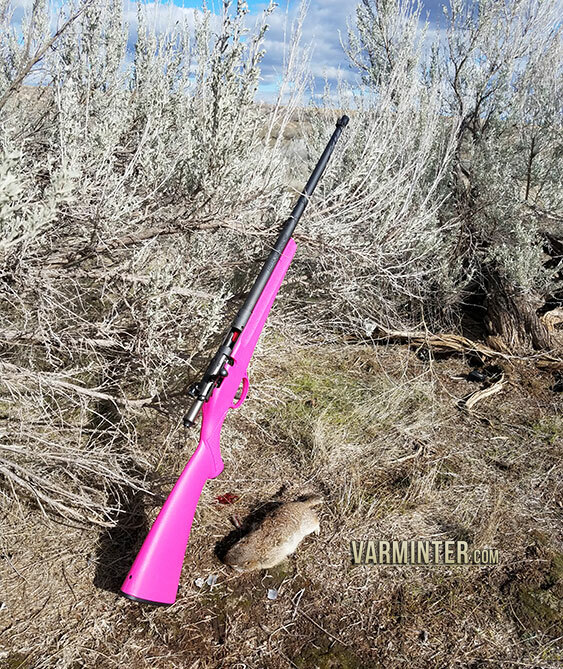 This seemed like a great combo for short-range hunting and the eye-relief was perfect, even with the small stock. When I arrived at my range area, I set-up a small box with some one-inch target dots at 50 yards. I proceeded to shoot 3-shot groups using the same ammunition from the first range trip (listed below). 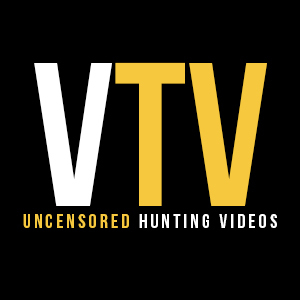 The CCI Velocitors shot the best out of the group, so I used them to complete my final sight-in before I started hunting. 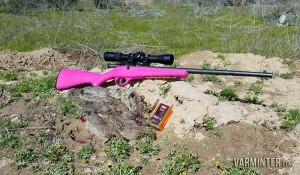 I packed up my targets and drove to a spot that held ground squirrels. 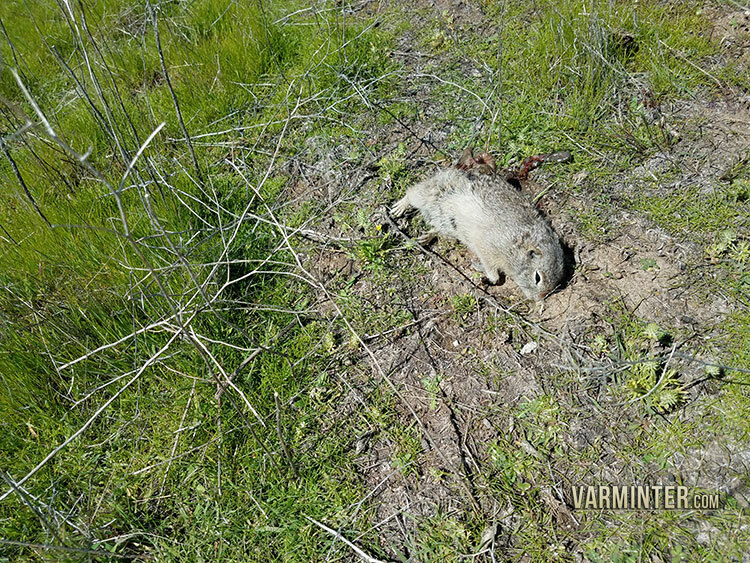 At the start of this hunt, the wind was very light and the sun was warming the air just enough to coax the ground squirrels out into the open to eat. Ground squirrel number one was sitting on the side of the dirt road I was set-up on about 35 yards away. I found him in my scope and slowly started to squeeze the trigger. At the shot, I heard the Speer bullet hit the squirrel and then ricochet off into a nearby hill. I watched it flip into a small impression when the bullet hit and not make another twitch. This was a great start, but in order for me to confirm that this rifle could hunt, it needed to take out a lot more than just the one. I pushed it out a bit further for squirrel number two. This one was poking his head up out of a hole and finally came out enough to give me a clear shot. I put the crosshairs on his brain-stem and squeezed. The bullet smacked him hard and he stiffened up immediately. Even though he was dead, it took a second for the tenseness of its body to loosen and allow it to slip into the hole. I used my Prairie Dog Retrieval Tool to extract it from the hole, so I was able to confirm the shot and kill. 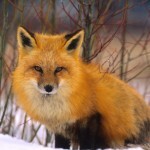 Number three was almost the same, as he had just crawled out of a small hole and was checking out the area, before I thumped him. Just when I thought that things were going well, I had a short string of misses and some misfires. I don’t blame the rifle for the former. I was getting to confident and was not taking my time with shot placement. This left a few ground squirrels shaken, but not touched by the bullets I was slinging their way. I decided to remedy that with better placed shots, even in areas where there was grass blocking a true clear shot. The latter issue was very frustrating. I had a couple of light strikes on the rims when I was shooting it at the range, but those seemed to go away after I did a quick clean before the hunt. 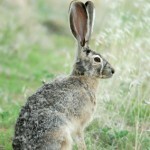 It reared it’s head again when I was in the midst of taking out a few large ground squirrels in one small area. It was very frustrating, but I kept going with it happening on occasion. Back to the hunt. 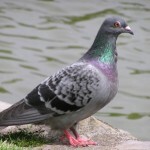 The next few came in succession, with head and neck shots killing them instantly. This rifle was definitely accurate enough to kill these squirrels out to 50 yards, but how about a bit further? I scoured further out with my binoculars and finally found a big ground squirrel eating in the grass. I ranged the mound he was next to at 78 yards and then found him in my scope. I took my time, waiting for the right shot. It finally came out into an area where I could get a clean kill. I got very comfortable behind the rifle and squished it into the bag to get a solid rest. I slowly squeezed the trigger and at the shot I watched the squirrel get hit and stiffen up for good! When I went down to pick him up, I re-ranged the bench and got the same 78 yard reading. Not bad for a pink Savage Rascal! The question I had going into this was, “Are these rifles viable for hunting”? That question was answered with a resounding, “Yes”. Kids who use these rifles to initially plink and shoot paper, should have no issue transitioning to hunting using the same rifle they have been using to practice with. To increase their odds and to make for clean kills, I believe an optic needs to be used. Please don’t just put a junk optic on this rifle. 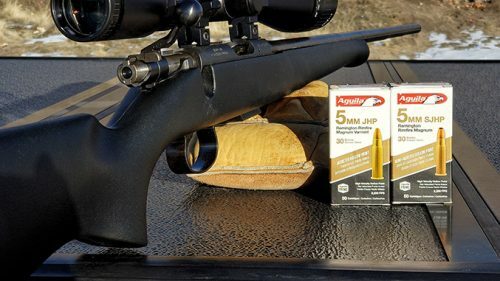 Instead, pick one of the many quality rimfire scopes available and mount it on the rifle. The issue I ran into with light-strikes causing misfires, is something that you need to be aware of. Teach your kids how to handle a misfire and the steps you go through to clear the rifle after the allotted time has passed waiting for the round to go off. I will probably discuss this issue with Savage, just in case it was an individual issue with this rifle. I have personally shot the Savage Rascal and the CZ Scout (also .22 long rifle). I can recommend either of these rifles for a starter firearm for kids. Make sure to take them with you to the shop and have them hold it to check for sizing. That way they can have a rifle that fits them and, in turn, will make their shooting education more enjoyable! Have fun!